I am a convert to the church and was raised in a very liberal home. Coming from that background, I still feel there is great equality in the church. I think women who feel like they lack equality with men in the church fail to remember their callings in the church function the same as their male counterparts. It is like asking a man to give birth. Their are certain callings in this life that only a select group will be able to fulfill in such a finite way. That does NOT mean that others cannot assist in the cause. My husband did not (and never would be able to) birth my children, but he is an equal partner in parenting. He is equally entitled to our children and bound by his responsibility to them. Every person works within predetermined limitations and is no less wonderful or valid for having to operate as such. I think their are too many women in the world that think they need to be EVERYTHING to everyone to feel that validation, but God created all of us equally unique, as individuals with our own abilities and gifts to give. I may not be able to hold the office of a bishop (or other priesthood callings), but there are plenty of weighty church responsibilities and callings given to women (Relief Society presidents, Primary presidents, Young Women’s presidents, to name a few—locally, nationally, and internationally) that are equivalent to the church workload any man would carry. I may not be able to pee standing up (at least not without making a mess). But I can pee. Sitting down. And that’s perfectly fine with me. As long as you urinate in a commode, latrine, or behind a bush, it matters not what position you’re doing it from. At my age, it’s not a function taken for granted. Seriously, the frog philosopher Voltaire was reputed to have said that there’s but a small difference between men and women, but “Vive La Difference!”. I don’t think that the differences are “small”, and we’re not “equal”, but we can be equivalent. I can’t see how a loving Heavenly Father would consign His daughters to second-class status, and I don’t think that formally conferring the Priesthood upon males only does that. Certainly Heavenly Mother wouldn’t allow it anyway! In fact, I would say that women accomplish fairly much in their ways and in their respective “designated” areas (Primary, YW, RS, plus other callings that aren’t PH-specific) w/o it, and demonstrate similar leadership and adminstrative skills that men suppose they do. Furthermore, after about a third of a century in this Church (I joined when I was 20), it’s been my experience that D&C 121 is an unfortunate truth: Men Do tend to, when they suppose that they have a little authority, exercise “unrighteous” dominion. That and all too many are overgrown boys. The PH imposes a discipline and structure that harnesses and focuses the energies of men that would otherwise tend to fractionalize the Church. IMO, the women share in the PH, and, in fact, we men are to use it to sustain THEM more than ourselves (of course, it’s primary purpose is to govern the Church, but since about half the membership is female, it’s ipso facto…). Nevertheless, were the Lord to reveal that women should also hold the PH, it wouldn’t be for me to comment one way or the other, but get with the program. The Savior will confer His PH upon whosoever he will, and He doesn’t seek my advice on the subject (nor any other). I find it sad that you state that God places women in a “second class status” when in fact it is quite opposite. There is a reason that our Heavenly Mother isn’t mentioned, but seeing that you place women in a “second class status” tells me a lot of your understanding of the Gospel. Pretty sad. I don’t want it to change. I have had a lot of leadership positions and I didn’t need the Priesthood. I was under the authority of the Priesthood. I am a Mormon woman and I am perfectly fine with the way things are. Men and women each have a differing role in the whole picture of things. Men use their authority with the Priesthood to perform ordinances, give blessings etc; women perform their role in this life by being co-creators with Heavenly Father, in providing a mean by which HF’s spirits can come to earth and gain a body and fulfill their eternal destiny. I am honored to be one of those vessels and I feel it is everybit as important, if not more so, than having the authority to use the Priesthood. Thanks for your comments. I’m glad you feel comfortable with where things are and how they are run. I agree with you and Bethany that women have a unique role in raising children jointly with their husbands. From my experience as a father, I can see the grace and beauty my wife brings and I see God’s hand working through her as she raises our kids. Do you think that the power wives have as mothers is a function of Priesthood power or is it just a gift from God? “Just a gift from God”? What does that mean? Priesthood is a gift from God. All gifts from God are given to bless the lives of all mankind. Read the D&C and you understand that there is (1) capacity given to do God’s work, and (2) stewardship given to do God’s work according to that capacity. The overshadowing message of the first third of the D&C is to function in the capacity to which we are called and not envy the capacities of others. “Despise not the gifts of God,” Moroni commands us as he closes the Book of Mormon. If giving birth is one aspect of motherhood, and Heavenly Mother is a god, and priesthood is the opportunity to act in the capacity of a god, does it not make sense that mothers function through priesthood power? It is a gift of God to become as gods, to know good from evil, a fruit chosen consciously by Mother Eve. It is a gift of God to receive ordinances of the tree of life, to make our way back to their presence, through the Priesthood structure. Many are the gifts of God. Good points about gifts from God. What I mean by “just” a gift is that many of the gifts discussed in scripture are gifts that God bestows on us unofficially without having hands laid on our heads. The priesthood is different in that it is officially given to us by laying on of hands. You bring up Motherhood. I’ve wondered about this recently. If a husband and wife are acting jointly in the Priesthood and have a joint share of Priesthood (as MH’s post quoted Brigham Young as saying), then was there a time, or will there be a time when a husband and wife can lay hands on their children jointly and bless them together? That is what I envision as sharing Priesthood power. This distinction is important – what is given by the laying on of hands and what is given by gift. The priesthood is described often in the D&C as a gift. We have much to be revealed on this issue, per AoF 9. Yes. It does make sense that mothers exercise Patriarchal Priesthood by gender fiat rather than through ordination. You might be interested in Valerie Hudson Cassler’s entry on Mormon Scholars Testify – she describes quite efficiently what I have come to believe is the truth about the roles of Eve and women (http://mormonscholarstestify.org/1718/valerie-hudson-cassler). Feminists don’t like her, but the bridgebuilder feminists do. In the arena of personal opinion and speculation, yes, I believe father and mother will jointly bless their children in ways far more crucial than simple blessings by the laying on of hands. This is the power of the Patriarchal Priesthood, in my estimation. if women hold the priesthood in the morman church i will leave at moment they do a good job in there callings. but could u see a morman bishop. on your bike. I’m not quite sure that I understand what you mean exactly….can you clarify? Please Grace for Grace, don’t go this route. I have had immense respect for you, but giving in to feminist rhetoric is to go against the, as other Christians would say, Biblical pattern of gender roles. I agree with women having the Priesthood because of the Temple, but even there it is clear what gender presides in authoritative positions. Thanks for sharing your perspective. I’m mainly pointing out that in the past, it seems that women played a greater role in the priesthood (even though men have always presided). Also, as mentioned, I’m a male in the church, so I don’t have any problems with things as they are personally. If I put myself in a woman’s shoes though, I can see why some women could feel things aren’t fair so to speak. Therefore, I appreciate the ladies who have shared their thoughts…from what it looks like the majority are fine with things, so that’s great! This entry was posted in Let’s Share Our Dreams and Visions. Bookmark the permalink. I would have to say that this issue has been the preeminent issue in my mind for the past year. I’ve prayed more and researched more and pondered more about it than any other. Not the way you would probably expect, however. I am learning, and am especially assisted with the publication of things like the Joseph Smith Papers and the excellent Beginning of Better Days, to find revelation within Joseph’s revelation. There is a truth here that is beginning to be revealed. I had hoped that it would be revealed like turning on a light switch, to use Elder Bednar’s analogy, both for me and for the world, but it seems to be more like a sun rising. Many, many people are stumbling to an understanding of how women exercise the priesthood, but slowly, and a bit falteringly. That seems to be God’s intent and plan, in this case. I think it centers in understanding the way our Heavenly Father and Heavenly Mother jointly exercise their power, since priesthood is the power to exercise their power as well, and to truly understand God we must consider them as one. Once we truly understand the Patriarchal Priesthood, I think this will become clear. I do not think we can understand that Priesthood until we understand the Melchizedek Priesthood, which administers the preparatory kingdom just as the Aaronic Priesthood was a preparation for the MP. We must learn within the realm we are given, and there is much to learn. It seems likely that the Church is going through the teenage years, straining against what it considers constraint, determined to have for itself the powers of a more adult spiritual kingdom. Just like teens, we don’t all go through that process graciously, or with trust for our teachers. Still, we will all come one day to the conclusion that all teens eventually do: our Parents knew what they were doing. It will all work out. Another thing to consider: the Aaronic Priesthood is given (by right) to only a very select few (the descendants of Aaron), the Melchizedek Priesthood has gone through progressions of people who could increasingly hold it, and the Patriarchal Priesthood will be given to all worthy people. Note a progression? Bonnie, I think you have that backwards. The Melchizedek priesthood is given to increasingly more people, but the Patriarchal Priesthood (or Lineal priesthood) has always comes through a lineage. In the Book of Mormon and the Bible, priesthood was passed from father to son. Even the Church Patriarch was always passed to a Smith descendant. When Eldred Smith received emeritus status, there hasn’t been a replacement, and won’t be unless it is a Smith descendant. We aren’t talking about the Patriarchal Priesthood in the same way. I think there is much that we do not know from the time of the Patriarchs, nor much that we know about the Patriarchal Priesthood. I am not speaking of it as a lineal priesthood, or the line of prophets. I am speaking of the priesthood of godhood. You’ve brought up a principle I’m not quite familiar with and haven’t really studied it at all. Are you saying there is a 3rd priesthood (Patriarchal), or is the Patriarchal the Melchezidech Priesthood that used to just be passed down from father to son? Also, what part did women play (if any) in that priesthood? Aug. 27, 1843 Joseph taught about “three grand orders” of priesthood. The first was Melchizedek, the second was patriarchal and to be revealed in the completion of the temple, and the third was Levitical. There is disagreement about the Patriarchal Priesthood, to be sure. I am suggesting that if the records of the period of the patriarchs were opened, specifically in the sealed portion of the Book of Mormon as revealed to the brother of Jared, I think we would know a great deal more about what was known and practiced during that period. The priesthood as an office of the High Priest (essentially a prophet to the people of the earth in his dispensation and during his mortal life) has often been passed down through royal lines. I am not calling this a patriarchal priesthood, although the high priest called with responsibility for the earth at any given time, in a structure of primarily familial organization, would naturally be called a Patriarch. What began as simple “authority” became a single “Holy Priesthood,” then evolved into the multiple “orders” of lineal (or patriarchal) priesthood, Aaronic (or lesser) priesthood, and Melchizedek (or greater) priesthood. So is the Patriarchal Priesthood something that’s dormant now or something? When did people quit talking about it and/or practicing it? Or is it something that was speculative and didn’t become official doctrine? The office of Church Patriarch has always been a bit of a power struggle. As mentioned earlier, William Smith tried to use his position to bolster his Patriarchal priesthood claims to lead the church, and in effect there was a bit of a power struggle between Brigham and William, leading to William’s excommunication. If Hyrum had lived, he most certailny would have been the new leader of the church following Joseph’s death. Sam was an option, but he died within a month of Joseph and Hyrum (and I have heard speculation that Sam was poisoned.) William was really erratic, and people didn’t like him. In fact, there are Q12 meetings in which William challenged Joseph to a fist fight. When Joseph and Hyrum were killed, it didn’t seem safe for Smiths to return to Nauvoo. Since William was already on a mission in Boston, and his wife was ill, it was decided that he should not return to Nauvoo. He came to Nauvoo May 10, 1845 and he was soon ordained to the vacant office of Church Patriarch. (Previously, Joseph Sr held it until his death. Then Hyrum held it until his death with Joseph.) William was soon ordained, and gave a patriarchal blessing to a black man by the name of Joseph Ball, in which William revealed that Joseph had been previously ordained as a high priest in Boston. Anyway, subsequent Church Patriarchs were ordained, and the office was left vacant for decades as well. If I remember correctly, I read somewhere about the Church Patriarch being left vacant for about a decade, and then was filled with a Smith who later was “released” for homosexual conduct, though the public reason cited was that he was released due to illness. The last Smith to hold the position was Eldred Smith, and the apostles weren’t quite sure what to do with him because they feared his authority might trump their own. So, Eldred (who is still living I believe) was effectively released with “emeritus” status in 1979. It is unclear if there will ever be a replacement, but from the history I’ve read, I think there were too many battles between Q12 and Church Patriarch that I think it probably will never be reinstated. Quinn documents that there have been several battles between quorums. The High Council, Seventy, and Q12 were supposed to be equal in authority, but the High Council was done away with following the succession crisis in Nauvoo (and demoted to stake level), and the Seventy was demoted to stake level (and re-instituted to GA level under Pres Kimball), leaving the Q12 as the leading quorum in authority, just under the First Presidency (though they are supposed to be equal in authority. In reality, FP is above Q12 unless the prophet is incapacitated. At that point Q12 trumps FP.) Anyway, that comment is way too long, so I’ll shut up now. I disagree with Michael Quinn on a number of things, and I think this is another. The Lord has always given whatever level of priesthood and ordinance we are prepared to receive. We know very little about the Patriarchal Priesthood structure other than what we have in Genesis, which is a delightfully oblique record devoid of internal commentary. If you read carefully in D&C 107:39-57, however, you have pretty much the only description we have in modern revelation, other than Joseph’s cryptic words in 1843, of the Patriarchal Priesthood. Upon the earth is seems to have been a family order, and it is promised to the literal seed of Adam in the lines specified. Abraham sought for the birthright, and it may be that he obtained that by lineage (especially if Shem was Melchizedek) despite the unrighteousness of his fathers, but he may also have petitioned Melchizedek for it outside of the lineage, which indicates a new era, and it was in a great many ways. The fact that not one modern prophet has described what priesthood it is that women use in the temple, indicates to me that it is to be revealed. For myself, as I’ve studied and pondered, I can draw a clear line between an ordination to become kings and queens, priests and priestesses, which is to be activated at a later time, and within the temple, the beginnings of that priesthood is practiced as we look toward the blessings of eternity. The temple is the one place where heaven and earth intersect, and we get peeks of the eternal order there. Women move within the veil in the ordinance of endowment, prior to all of us moving through the veil. Why is that? There is something different about the roles of men and women and gender is a crucial characteristic in eternal priesthood authority. Once we have received this ordinance, we are, when called, given authority to officiate over our own gender. This is shades of eternity, if we have eyes to see. I used to be in Stapley’s ward. He’s the one who first introduced women using the priesthood in the early church to me to heal others. In fact, he gave a talk to the Relief Society of that ward about it. I’m with you and that is part of the reason I wrote this post. I see no reason why women can’t participate in healings anymore like they used to be able to…do you know of any official statement that took that ability away, or did it just gradually change over time somehow? That quote you liked is actually the writing of Stapley. It’s interesting that he was in your ward. I’ve met him and he seemed cordial. He took me to task, however, for saying that women held priesthood. He said that healings are gifts of the spirit, and are independent of priesthood. He said that women in the 1800’s would not have believed that they held the priesthood, though it does seem that Quinn disagrees with Stapley’s position, as I mentioned in that post. I’m amazed Stapley said that to you….he gave our Relief Society a whole lesson on how the women had the Priesthood back in the day and used it to bless others. My wife was there. The quote you bring up about JFS basically stating that women aren’t allowed to use the Priesthood to give blessings is interesting. I have a couple of questions about that. First, was there a point where men gave women the washings and anointings or was it always women? Second, (a point brought up on the wheat and tares blog) women are not ordained to be elders in the church, yet they exercise priesthood power in the washing and anointing ceremonies of the temple. How can the washings be valid if they techinically don’t have the priesthood? I see a clear distinction between exercise of priesthood authority to bless for the healing of the sick and exercise of the gift of healing (ritual healing), which does not require the laying on of hands. Stapley merely noted that women practiced the gift of healing (ritual healing), and administered the gift through touch or laying on of hands as it was called in those days. In our day when we say “laying on of hands” we are talking about Melchizedek Priesthood authority, bequeathed in a clear and distinct line by angels to man – one unbroken line. The two are entirely different forms of “laying on of hands.” Gifts of the spirit do not require ordination, though they may be bequeathed through ordination. I agree with Bonnie on the distinction of priesthood authority to bless and exercise the gift of healing. Regarding the temple, my mission president was a sealer before being called as mission president, and he said that women have held the priesthood for years, and he cited the temple washing and anointing of women by women as evidence that women held the priesthood. A few years ago, I asked a female temple worker in the celestial room if she held the priesthood. She said that she acted under direction of the priesthood, but said she did not hold the priesthood. So, there seems to be a difference of opinion on the issue. As for your question about men washing and anointing women, I don’t know. I’m sure that Joseph probably washed and anointed Emma. Beyond that, I think women anointed women, but I’ll have to check to make a definitive statement. One lady referred to “Heavenly Mother” which, and I’ll be honest, sent chills down my back. Can someone please tell me about Heavenly Mother-who is she and where did she come from? It reminds me of “The Blessed Mother Queen of Heaven” that Roman Catholics believe in. We have a church hymn that discusses having a Heavenly Mother. I was a missionary and had investigators attending the service and when the lyric came up about Heavenly MOther, they looked at me in shock and practically ran out of the building! You probably had a similar reaction to this. I’m not an expert on what exactly Mormons believe about Heavenly Mother because we don’t openly discuss it in church that often. From what I understand, Joseph Smith introduced the concept of there being a Heavenly Mother and Father who created all of our spirits in a pre-earth existence. I think it was around this time where J.S. discussed the concept that God had been a man before and that we (humans) could become Gods. Personally, I’m not sure of that doctrine of becoming Gods in the sense that our Father in Heaven is a God. I don’t believe we will ever be on the same plain as He is. Also, the concept of a Heavenly Mother and them conceiving our spirits is something I don’t necessarily believe, but if I die and it turns out that’s how it is, then I guess I’ll know. I do believe that all of us have the opportunity to become kings and queens underneath God…serving him jointly eternally. I’ve heard many Mormons talk about becoming Gods and Goddesses like God and his Heavenly Mother are, and creating spiritual babies. This is something that is also not openly discussed in church all that often, but you hear it every so often. Like I said, I believe that if we are saved that we can still be married to our spouse in Heaven and serve God our Father and Jesus Christ as “kings and queens unto God”, but not be exactly like them (as many Mormons believe). I like to view Heavenly Father as a Creator and that He sculpted us so to speak rather than teaming up with a wife in Heaven and giving birth to spiritual babies…I could be wrong with that too, but that is where my personal beliefs lean towards. Here’s a link to some general concepts about Heavenly Mother within Mormonism: http://en.wikipedia.org/wiki/Heavenly_Mother_(Mormonism). I’m sure Bonnie and MH have more information about it as well, if they care to share. I remember reading about “Heavenly Mother” years ago in what LDS would call anti-Mormon propaganda (The God Makers) and I dismissed it as both sensationalism and one of those teaching introduced in the early years of the church that kind of went the way of polygamy-so it freaked me out a bit to have someone write of it.. I get the Ensign and I’ve read Articles of Faith & Marvelous Work and a Wonder and even have a copy of The Hymnbook and I have never read anything about Heavenly Mother. It makes me wonder if converts who join the church get the “Oh didn’t we tell you about this…” line as they discover some of these unusual teachings. As much as I think I know about your church I realize there are many opinions and focuses and levels of beliefs held by Mormons. Thanks for the link. . I think you are right about how converts feel with the bait and switch. When converts are baptized, they are taught the core principles of the Church: faith, repentance, baptism, enduring in faith to the end of our lives. Funny thing about it is that missionaries aren’t even taught about or teach anything to converts about polygamy, Mother in Heaven, and other fringe doctrines (I think that tells you something as to the relevance of those doctrines). In my opinion, the basic doctrines are most important. It takes a lifetime to live these principles and apply them. Delving off into what many Mormons call “deep doctrine” such as polygamy, Heavenly Mother, Adam-God theory, etc. really don’t help us in the end. It’s fun to speculate for many people, but I think a big reason why you see the mainstream publications of the Church and also 99.9% of what is discussed in Mormon chapels on Sunday highlight the core principles of the gospel is because that is what truly matters. Also, as you mentioned, there are various levels of belief for Mormons regarding many of those “deep doctrines” so it’s best to stick with the basics. That is my opinion as to why you don’t see this that often. I’m curious. Are there similar situations of doctrines within other Christian churches and varying levels of belief? If so, what are some examples from your experience? Doug, there is a famous hymn we sing called O My Father, by Eliza R. Snow. Pres Hinckley has said we have a mother in heaven, but he has directed us not to talk about her. There was a BYU studies article on mother in heaven about a year ago, and it indicated that it was ok to talk about her, but I don’t know much. There is some speculation that heavenly mother might be the Holy Ghost, but once again, that is speculation. I heard a Presbyterian seminary podcast refer to the trinity as a sort of holy family, so this is not just an idea unique to Mormons. I didn’t mean to take you away from the theme of women and the priesthood-another interesting topic for sure! We don’t have stealth doctrines that I’m aware of. Being a church whose roots were Calvinistic we have people who have strange views about predestination but since we hold to the historic creeds it’s pretty much all out there for anyone to see! I will say that with the decline of denominationalism in this country-my church is focused more on the core doctrines and loving Jesus Christ then the distinctives that divided churches. I would say my concern is more on the experiential level-I have people who simply show up for church and I have people who really love Christ and seek to love him and serve him 24/7. Does that make sense? When I checked out a link on Heavenly Mother (thanks graceforgrace) it mentioned ‘O My Father’ as the only hymn that speaks of her-the fourth line says, “When I leave this frail existence, when I lay this mortal by, Father, Mother, may I meet you In your royal courts on high?” Heretic-The Presbyterian podcast was probably from the PCUSA church-very liberal. You are right about this concept not being unique to Mormons-just speak to Roman Catholics-Mary-the Queen of Heaven and the Mother of God. I’m sorry but all this stuff really bothers me. How odd that a Prophet of the Church would say not to talk about this doctrine! We have no teachings that we are discouraged to speak on in my church to be honest. For me it is enough to know that I have a Heavenly Father who is able to love me even as a mother loves her children. Thank you for letting me share. I feel the same way you do. There are tons of things that we do not know and for us to get hung up on if there is a Mother in Heaven or other things that aren’t official doctrine is pointless, in my opinion. I feel that we should be content that there is a God who created and loves us. God sent his son (who is also a God), Jesus to suffer for us. Through Jesus’ atonement we can live again with God. Jesus’ gospel of faith, repentance, baptism, receiving the Holy Ghost and following throughout our lives is what is most important. 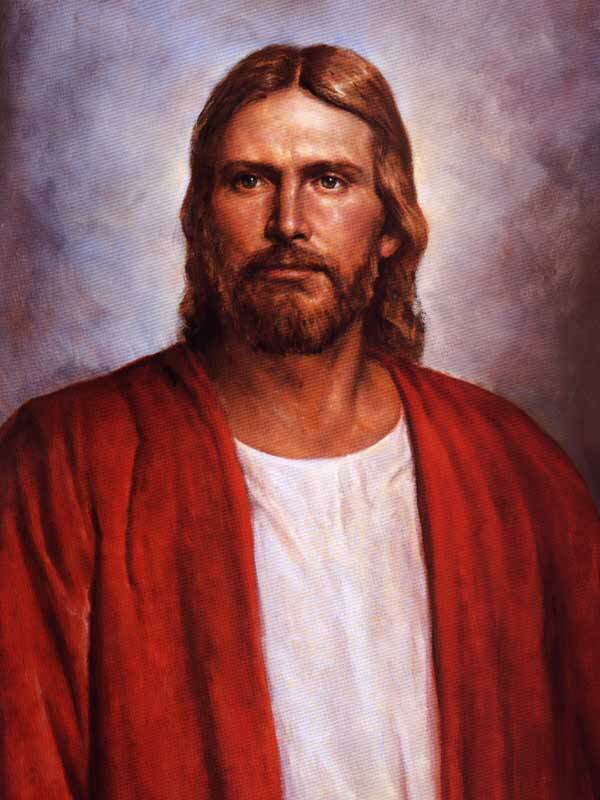 I’ve heard a lot of strange things from Mormons over the years, but I choose to focus on the basic doctrines (Jesus advises doing that in the Book of Mormon) that make more sense. I am just jumping in on the conversation and have only found this blog just about an hour ago, but have really enjoyed what I have read. Doug, if you don’t mind, I would love to comment on your last statement. What I have heard throughout my life, and I guess it is probably not doctrine, is that we don’t speak of Heavenly Mother out of complete respect to her. It’s not to hide the doctrine, but to keep her sacred. I once heard (again, not doctrine) that the reason why her name has never been revealed is because she is being protected from having her name taken in vain as so many take the Lord’s name in vain. I have been taught all my life that she is supremely sacred as any man’s wife would be and that is why we don’t know much about her….so she can’t be blasphemed and taken in vain as our Lord Jesus Christ is and the way God our Heavenly Father is. Again, I am sure this isn’t doctrine, but as I learned it this way it makes complete sense to me and I don’t feel as though President Hinckley was asking to keep the doctrine a secret but to keep Heavenly Mother sacred. We don’t talk about Her because we don’t know anything about Her. She isn’t like the Catholic concept of Mary as a focus of worship. That bothers feminist Mormons who want Her front and center with Father in Heaven, but there is no doctrinal or scriptural reason to make much more of a big deal out of Her than she exists as a doctrinal concept. I also reject that Mormonism doesn’t teach or talk about everything (save what happens in the Temple and even that is not about what the Temple teaches). I admit you might have to dig sometimes, but there isn’t any doctrines that can’t be found in official sources if there is any value to it as a belief. – The Family: A Proclamation to the World. – President Spencer W. Kimball, October 1978 General Conference. Logic and reason would certainly suggest that if we have a Father in Heaven, we have a Mother in Heaven. That doctrine rests well with me. However, in light of the instruction we have received from the Lord Himself, I regard it as inappropriate for anyone in the Church to pray to our Mother in Heaven. – President Gordon B. Hinckley, October 1991 General Conference. – Elder Howard W. Hunter, October 1987 General Conference. – Theodore M. Burton, June 1987 Ensign. Even with the above quotes, the idea of a Mother in Heaven is equal parts doctrine and speculation. If we mortals are required to be married man and woman to receive Glory and Exaltation and since this is the pattern of God, then the logic is that God is married to at least one women. Another way to look at it is Eliza R. Snow who asked if we have a Father in Heaven then we must also have a Mother in Heaven since mortality is a reflection of Eternity. However, the doctrine of Mother in Heaven is nowhere spelled out in Scripture while there are hints and shadows. Respectfully, I disagree, Jettboy. It’s not just feminists who want to know more about her, whether or not we call that “front and center with Heavenly Father” – and we want to reduce the mother of our spirits to a “doctrinal concept”? I find that logically reprehensible, considering that we’re talking about the co-equal with the Father, whose role would be co-equal as well. This is an important truth, and as the 9th AofF states, there are still many great and important truth to be revealed. Even still, I do not find the existence of Heavenly Mother “equal parts doctrine and speculation.” This is not akin to Brigham Young’s bigotry being carried on for generations, something that will be overturned with later revelation, as your earlier quotes attest, especially from the Proclamation. And yes, the reason we don’t speak of her has nothing to do with her sacredness and Heavenly Father’s protection of her. That was an old Victorian excuse commensurate with the seed of Cain explanation for the priesthood, and needs discarded as cultural not doctrinal. Thanks Mo Heretic, Julie, Jettboy, Bonnie and graceforgrace for your thoughts. I appreciate being able to talk to you about this teaching as I recognize the growing friendship between Latter-day Saints and Evangelicals and I am feel blessed to be able to share in a civil way where we agree and where we differ. Having said that-Heavenly Mother does appear to me to contradict Articles of Faith (article 1) and what it teaches about “The Godhead.” I realize that the Articles of Faith are not creeds like what we have in my church-yet they are authoritative. On a slightly different note those of us outside your church have been guilty of thinking that you are a big monolith and it is neat to see the range of opinions on this teaching (and some others too). Bonnie-I was interested by what you said about the seed of Cain and the priesthood-could you elaborate on that for me. Doug, I share your happiness about the friendship between Evangelicals and Mormons. We have much to learn from one another! AofF 1 merely specifies the Melchizedek Priesthood order of heaven. There is nothing that says it is the only order of heaven. Just as the existence of a prophet does not preclude apostles, the existence of a structure under the Melchizedek order does not preclude a structure under the Patriarchal order. AofF 1 merely doesn’t mention Heavenly Mother – it doesn’t deny her. The seed of Cain is an old notion that was the justification for slavery, stating that black people were descended from Cain and therefore cursed by God to be vagabonds upon the earth. It carried forward for a long time as the justification for denying the priesthood to men of African descent culturally within the Church. Unfortunately, it also was supported for generations at the highest councils, although there were those there who did not believe it and questioned consistently about it. In reality, heritage was terribly difficult to prove, and genealogists predict that only about 4% of the people on the planet do NOT have some African ancestry. In practice it became a matter of skin color determination. One of the greatest joys of my life was the lifting of that ban. I can’t imagine living during that time where black members didn’t have the priesthood. Especially since it carried on for so long. What are your thoughts on women and the priesthood (back to the original post). Do you think there will ever be a ban lifted on women having the priesthood, or do you think it will always be men only? Opinions are wily things, and probably worth the paper (or lack of it) that they’re printed on. Apostolic comment on women and eventual ordination is honest: we don’t know. Personally, I do not think women will be ordained to the Melchizedek Priesthood as a larger whole, and I think they have already been ordained, through the endowment, to the Patriarchal Priesthood, awaiting activation of those gifts, powers, and privileges. The Patriarchal Priesthood is the highest of the orders of the Melchizedek Priesthood, see here, so I don’t see any logical reason that women would need to be ordained to the lower orders when they have already been ordained to the highest and simply await activation of that ordination. I really appreciate your openness to conversation. Historically, it has been a rare thing to see Mormons and Christians having this kind of dialogue but I feel it is slowly coming around as Mormons are becoming more tolerant and Christians are as well. I was hoping you’d jump in on the conversation! Thanks graceforgace-with this world slipping into moral and spiritual chaos-we need to stand strong together. If it wasn’t for my faith in Jesus Christ and my confidence in His return I would be overwhelmed with fear.. I noticed on your church’s website that you have women who are Deacons. In your church, how do you go about ordaining them….or are they ordained? I guess, what is the process and how do you transfer authority over to them to work in a priesthood function (do you call it priesthood?)? Bonnie, respectfully I see Mother in Heaven as a doctrinal concept. That doesn’t for me dilute the theological reality and truth, but it does represent where I think knowledge of Her stands. Although I respect the work that Dan Peterson did on Scriptural shadows of Her, his writing is scholastic and not prophetic (hardly JST standards). She isn’t found in the Book of Mormon or Pearl of Great Price (including the Articles of faith, although I agree they don’t reject the possibility), She isn’t found in any of what we have in Joseph Smith’s teachings, and She isn’t found in the Doctrine and Covenants. The first we hear of Her in a quasi-official way is Aliza R. Snow’s song. I don’t deny Her existence, I deny She is anything more than the absent presence. Jettboy, I see where you are coming from, but if we deny her presence, that is worse than denying her existence, because it casts her as disinterested, in marked contrast to our apparently interested Father. Haven’t prophets created the logical foundation for her as co-equal with Father, in which case she would be equally involved in the care of her children? Calling her a doctrinal concept is like calling her wishful thinking. There is absolutely no foundation logically to reduce her to a whim. 1. Joseph Smith verifies Paul that neither is the man without the woman nor the woman without the man, and extends that to the new and everlasting covenant of marriage, with quite a few specifics. 2. We know that God is the Father of our spirits, that he has achieved exaltation, therefore, because of 1 he is accompanied by his co-equal. This is the plea of Eliza Smith’s poem, to answer with affirmation this logical premise, yet it is completely and totally unanswered officially by the prophets of this dispensation, except to affirm (in recent years) that we have a Heavenly Mother as an assumption and go on. Go back through the last 10 years of conference addresses. They speak freely of Heavenly Parents. Logically, we are left with: either 1 is not true and subverts all the prophets who have spoken about it, or 2 is not true and subverts all the prophets who have spoken about it, or we have a Heavenly Mother. Truth is reality is doctrine. If you say concept and mean “unverified scholastic idea” we have overturned the doctrine of eternal marriage. Your wife will become a “theological concept” and an “absent presence” in your exaltation while you’re busily engaged in the immortality and eternal life of your children? I heartily suggest that she is not there because Deuteronomists stripped her references from the OT, Jesus was setting up a kingdom that would be subverted within 100 years (and references to her were probably stripped out again in the 2nd and 3rd centuries), and we are waiting for prophets in our dispensation to ask about her and receive an answer. If my children suddenly quit talking about me, removed every picture of me from their life, erased everything from their journals, I can guarantee you that I wouldn’t go off in a huff and pout. I would still be involved. GraceforGrace, following is a link to the article you’ve requested: http://www.charismanews.com/opinion/38031-6-gender-myths-in-the-church . The sentence I extracted is in the article’s 4th point. Seriously, I’d like to hear what you or Jettboy or Bonnie have to say about it if any of you read it. 4. Women can’t be in “high” leadership callings such as apostle…that is interesting that he brings up all the women who worked with Paul. What he doesn’t specify is if they were called to be apostles, or if they were assisting Paul. We have women secretaries for the apostles, but none that are called as apostles. Do you think these women with Paul were called as apostles? 1. In worship (singing) we usually see women take lead in our church in this area. 2. If women have a church calling to be a teacher, even if the Stake President enters the room, the woman is still the one who teaches. GraceforGrace, I don’t know if any of the women with Paul were apostles. I thought maybe at least one of them were but a brief search for evidence turns nothing up. I’m not clear, either, on what that author is claiming. I don’t deny Her existence. I don’t deny Her involvement. What I deny is that we know anything about Her beyond inferences or by analogy. In your number 2 the word “therefore” is used. I used “absent presence” very specifically because of its literary importance to how I see the Mother in Heaven. No, I mean a vague teaching that is doctrinal more by power of repetition than source material. Therefore if Heavenly Mother is, and I don’t deny, truth is reality is doctrine then She is a weak force (scientific analogy) doctrine. Well of course we know nothing about her beyond inference or analogy. What an opportunity to search for further knowledge! What a tragedy if we are complacent about such a crucial creator of the plan and ask nothing. When I say doctrine, I don’t mean “what we know through a prophet,” I mean what exists as true outside our understanding. I want to know God’s thoughts (did Einstein really say that?) – and if it is not revealed to a prophet, I’m still going to ask him myself. That Heavenly Mother is a “weak force” says much more about us than about her. From this conversation I know we have a very different view of Priesthood from the Latter-day Saints. We hold to the conviction that all believers are priests and turn to 1 Peter 2:5 for support of this. We believe the rise of the laity and clergy classes was a disaster for the church (I’m sure most of us agree on that!) We see the role of Elders and Deacons as leadership and administration callings from the Lord-and not tied to the priesthood as Mormons believe beyond the fact that elders and deacons already belong to the priesthood of all believers. The New Testament word for elder is “presbuteros” and speaks of a council of elders so we are a church that is elder led. In the Bible apparently some elders were appointed to preach the word and serve the sacraments and others to provide decision making, guidance and discipline. As a minister of the Word I am considered a preaching elder in my church (and yes I do receive a salary as I devote myself full time to this calling-I marvel at Mormon Bishops who hold down often demanding full time jobs and manage to balance family and church leadership at the same time. The role of deacons is to serve the widows and poor as is seen in Acts 6. The office of elder and deacon (and Minister of the Word) are offices that require ordination through the laying on of hands. While my leadership has been comprised largely of men-we do have some deacons who are woman. My denomination ordains woman as elders and deacons however there are different opinions within the Reformed Church regarding this. For biblical reasons I am uncomfortable with woman serving as ministers. I realize this is very different from the understanding Mormons have but you could call it Reformed Faith Organization 101! I pretty much understand the Bible the way Doug does except for his second-to-last sentence. Generally speaking, I don’t think charismatics hesitate to ordain women ministers. I’m personally not uncomfortable with them, primarily because I listen to a lot of them on the Christian networks such as TBN or DayStar and they inspire my faith just as the men do. If God can use a donkey (Numbers 22:28), he can use women, right? Charismatics have their own explanations for the verses that probably make Doug uncomfortable. I do believe men were created by God in a way that makes them more naturally equipped to be leaders—he has called husbands to be heads over their wives, for example. The problem with men in leading ministerial positions is that we often don’t have the anointing (the presence of the Holy Spirit) in the measure that we should have to lead. That anointing is an indispensable requirement. So, if the first-stringers can’t do the job, I say send in the second-stringers! The eternal destiny of humans around the globe are at stake! Be ready for some women to get fired up reading comments that they are second stringers and donkeys! Nah. Too easy. 😉 I am curious, Cal, because if one reads the Bible to not establish a priesthood (and I’m not saying it’s hard to do that), what justification is there for husbands to lead their families? I know that we have God’s words to Adam and Eve, and Paul’s words are a puzzle for anyone to figure out, but I don’t see much else. In fact, I work in organizational development, and recent studies have shown women to be far superior and far more favored by their subordinates than men. Harvard Business Review in fact says that it’s pretty much a given that in almost every area, women are better leaders. I highly question that men were created by God with natural leadership abilities that outstrip women’s. The culture has set them up with that opportunity, until now, by diminishing women’s leadership opportunities. But I heartily agree with your comment about having the anointing/Spirit in all leadership. Bonnie, don’t get me wrong. If you or anyone else wants to ask questions about Her then that is just fine by me. I believe in personal revelations too.That is how I came to understand and love the Temple, but what I believe about the details is not relevant to the whole membership. My concern is non-prophetic teachings becoming more than is prudent. More to the point, I am a lot like the Dueteronimists who fear She will for too many supplant the One True God we do have official knowledge about. If prophets someday have revelations about Her more than we currently have, then I will be more open to believing She is not just a True analogy or inference. However, I also believe from the little I understand about Her that feminists will not like what they learn. This is because She is a Mother in Heaven (perhaps even a Housewife in Heaven?). The problem with just leaving such an important issue to the personal revelations of others and not yearning for churchwide official clarity is that the church remains without a vital piece of the puzzle. Telling people (and it’s not just women who’d like revealed doctrine clarified) that it’s not important is like telling black families prior to 1978 that it’s not important to receive clarity on the priesthood because it will all get ironed out later, we have enough. If my husband is to strive to be like Heavenly Father. What am I to strive for. I can’t imagine anyone keeping me from my children in need. On a very basic level I believe She must know about my heart, just as Heavenly Father does. It seems strange that she is absent from our doctrine and our discussions of the plan of salvation. I do believe in a priesthood but I wouldn’t construct it exactly the way the LDS does. I asked my wife what God meant when he said “the head of the woman is man” (1 Corinthians 11:3). Someone else said that if husbands loved their wives the way Jesus loves the church, women wouldn’t mind submitting at all. Do you agree? I don’t know what to say about the Harvard Business Review. So you tell me, why are men supposed to be the head of the family, assuming all other things are equal? I have to say that in our marriage, Helen makes some decisions, I make some, and we usually consult each other before making decisions. We’ve learned how not to push each others’ buttons, and with the grace of the Lord in our hearts in the form of unselfishness, etc., we get along very well. All praise to the Father & the Son for that. I have to do a manly thing now and go watch the Super Bowl! Even wives who are married to unbelieving husbands are told to be submissive. Of course, there are limits. If the husband says, “Go with me down to the local bar and get drunk with me,” she is not to submit to that! She went to church and when she came back she found the door locked. When Smith opened the door the morning she was slumped up against it, asleep. She jumped up and cooked him his favorite breakfast. Smith later became one of the most powerful ministers of the 20th century! Once I start I can’t quit. . . . When Doug said he wasn’t sure what the Book of Mormon taught on this issue, I started wondering. . . .
Mrs. Wigglesworth was a remarkable lady. I suspect many husbands would be wearing a frying pan after pulling a stunt like that! As I said before-we should each focus on our responsibilities and roles and not on our spouses roll.In response to Bonnie-I consider myself the High Priest of my family. It is my duty to make sure we pray together, share family devotions and teach our boys the way of Christ. When our boys were younger we borrowed your family home evening program and made it our own. We ordered materials from both your church and Focus on the Family. We called it “Family Time.” My 22 year old who is in college has wonderful memories of that time together. With our 14 year old we have modified it a bit but continue to share devotions,, play games and enjoy some of Mom’s kitchen creations! . . I continue to be impressed by your honest approach to learning. Many Christians I know wouldn’t touch a Book of Mormon or other LDS church material. They think it is from Satan and won’t touch it. This comment is the 71st of this lengthy discussion! . . . The biggest thing I learned: Women make excellent leaders. I am so glad to see people of other faiths/beliefs speaking rationally and intelligently about scripture, ideas, beliefs, etc. and with respect. If more people did this, and not just with religion, think of what could be accomplished. It is encouraging that there non LDS people who are really trying to understand LDS doctrine and beliefs. Mormon men do not hold women in high regard in the church they think we are week and stipid.